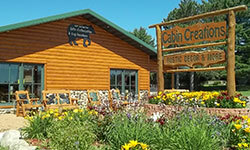 We are nestled in the beautiful Northwoods of Wisconsin, about 1 mile south of Phillips on State Highway 13. 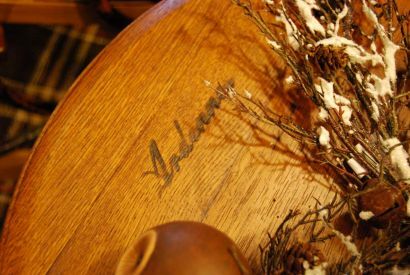 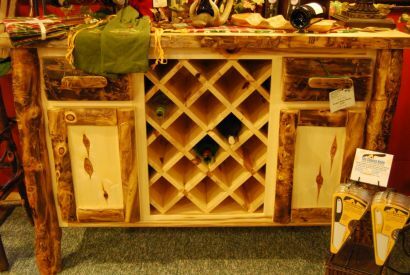 Our focus is on unique, high-quality, competitively-priced rustic decor and gifts for every occasion. 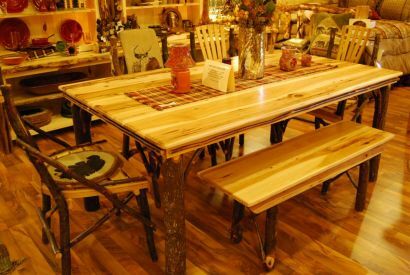 We offer a wide selection of indoor Amish-made log furniture, outdoor poly lumber furniture, wall art, rugs, Yankee candles, cabin decor, children’s items, clothing, gourmet food and gifts for all ages.